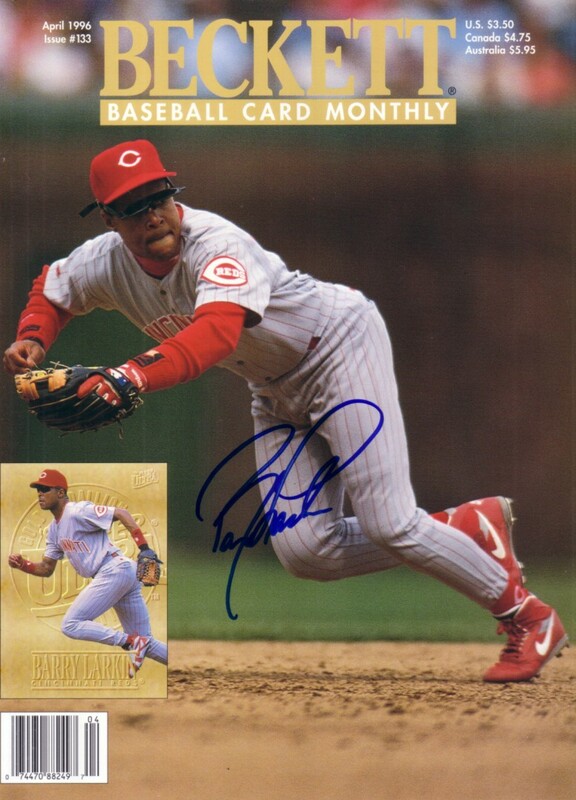 April 1996 Beckett Baseball magazine COVER ONLY autographed beautifully in blue marker by former National League MVP Barry Larkin, a 2012 Baseball Hall of Fame inductee. Suitable for framing. Obtained in person. With certificate of authenticity from AutographsForSale.com. ONLY ONE AVAILABLE FOR SALE.